JESC Rating and Ranking: Azerbaijan Rustam Karimov "Me and my guitar"
Angus: This really begs the question of why Baku never sends songs to Eurovision in Azeri! The language sounds beautiful and Rustam is so cute. As for the song beyond the use of language, it’s bouncy, fun and ultimately entertaining, which is what will matter most on that stage. It may be a little light weight to threaten for the win overall, but I wouldn’t rule it out as a dark horse, especially considering how catchy the hook is. Deban: Azerbaijan showcases its national talent with a ballerina choirboy singing half of his song in Azeri. The vignettes of his facial expressions in the music video, the upbeat, radio-friendly vibe of the song, as well as the playfulness of the guitar riff, all make ‘Me and My Guitar’ a serious contender for the JESC crown. Rustam Karimov maintains a childlike innocence. Very refreshing. James: I am disappointed – no Tom Dice?! This entry is a typical Junior Eurovision entry – simple and happy with beautiful backing vocals and a catchy bass line (or something like that). He looks like a fine performer and the transition to the English bridge is so well done. As long as the performance isn’t staged and robotic, I would be happy to vote for it…and you don’t hear me say things so positive about Azerbaijani entries, now, do you? Richard: Sweet Rustam, with lips redder than Conchita Wurst could ever dream, takes us on a tour around Baku for his song “Me and My Guitar”. There’s not really a lot to say about this apart from it is pretty catchy and could do rather well at the competition. It is infinitely more enjoyable and uplifting than when Tom Dice crooned about his guitar a few years ago. William Cahill: I was expecting this to be like Belgium 2010 given then name. I like this song, and I love his voice, which is incredibly strong for a 10-year-old. The song is catchy and memorable, and I expect it to be in the top 3 this year. I also love that drum bit, and the switch between Azerbaijani and English. It doesn’t work for most songs, but it does for this one! Good work. Much better than their entry from last year. I’ve not heard the song live, but I hope he can pull it off. Wiwi: In his official video young Rustem continuously motions for us to join him, and I suspect all the kiddies in Europe will want to. His youthful exuberance is contagious, and the tap-tap-tap build up to the chorus gets me every time. The transition to English works very well. When he says, “On the dawn of the day from Baku to LA/ We are the new generation/ We can show who we are/ You will love my guitar” I can’t help but think of that J.Lo song “On the Floor” (“It’s a new generation of party people…London to Ibiza, straight to L.A….” This is excellent. Azerbaijan finished near the bottom last year, but I suspect it will finish near the top in 2013. I hope so, anyway. Zach: Azerbaijan brings to the table a cute, more upbeat song that certainly makes me smile. Rustam has that cute child face that endears everyone, he can sing in Azeri very well, and the Azeri really sounds good with the melody. The guitar in the song also adds to the overall “feel good” vibe. However, when thinking about winning at the Junior contest, most winners think outside the box, Ukraine last year being a good example. This one is still inside unfortunately, safe but not really spectacular. Check out our latest Junior Eurovision reviews and rankings by clicking here. You can read all of our Junior Eurovision 2013 coverage by clicking here. You can keep up-to-date on the latest Eurovision news and gossip by following the team on Twitter @wiwibloggs and by liking our Facebook page. WATCH: Valentina Monetta Talks Eurovision 2014, Jazz and More! I love this little guy. 😀 What a cheerful tune. I hope he places well in the contest. I watched one of those little Junior Eurovision news segments they air in Azerbaijan & Rustam was on it & he sang a bit live in the studio quite well! To our dearest Azeri friends…. 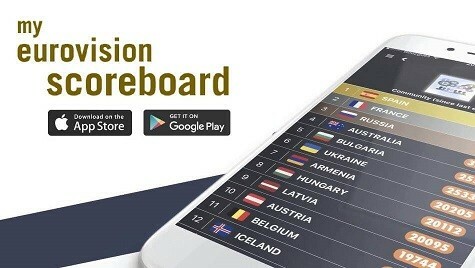 Expect another 12 points from… MALTA!!!! MALTA LOVES YOU AZERBAIJAN!!!!!! @Stacey. Ukraine’s vocals were good, but I honestly thought she was a little creepy. Russia, Israel and Sweden were the ones I was looking out for last year (as were most of the readers of wiwibloggs I think) because they were interesting and connected with the well. Block voting did not help Azerbaijan last year. Ukraine won last year because she was by far the best singer and the juries understood that. It was clear cut. Look he may look adorable, but honestly this song is VERY boring and bland in my opinion. I actually prefer 2012 to 2013. But that is my opinion, the East European block voting may give this a surprise victory like Ukraine last year. I would give this song 3.5/10. The kid has a lot of personality and the song is quite pleasant. On saying all this, we haven’t heard him sing the song yet, but that has never mattered in Junior ESC. I expect there will be a decent presentation on the stage, so I expect it to far surpass last year’s second last. I enjoy how it’s sung in the Azeri language, but it isn’t exactly my cup of tea. I think that it’s going to place about 6th or 7th, but it is definitely an improvement from last year’s entry. This song is normally not my style, but it works well with the Azeri language and it’s way better than their past effort. The English not written flawlessly, but it’s a commendable effort.